Rev. Dr. Katherine O’Connell of East-West Faith Seminary, Rabbi Roger Ross of The New Seminary for Interfaith Studies, and Rev. Tim Miner of the Council of Interfaith Congregations of the United States join us to discuss Interfaith. 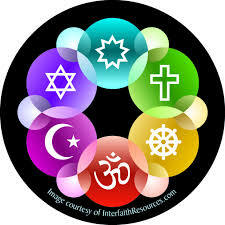 We learn about World Interfaith Harmony Week, February 1 – 7, 2011. Music by: George Harrison, PMP, Dave Carter and Tracy Grammar, Jonathan Elias, Rosanne Cash, Stevie Wonder, Reclaiming, Sinéad O’Connor, Women’s Circle Songs, Buffy Sainte-Marie.